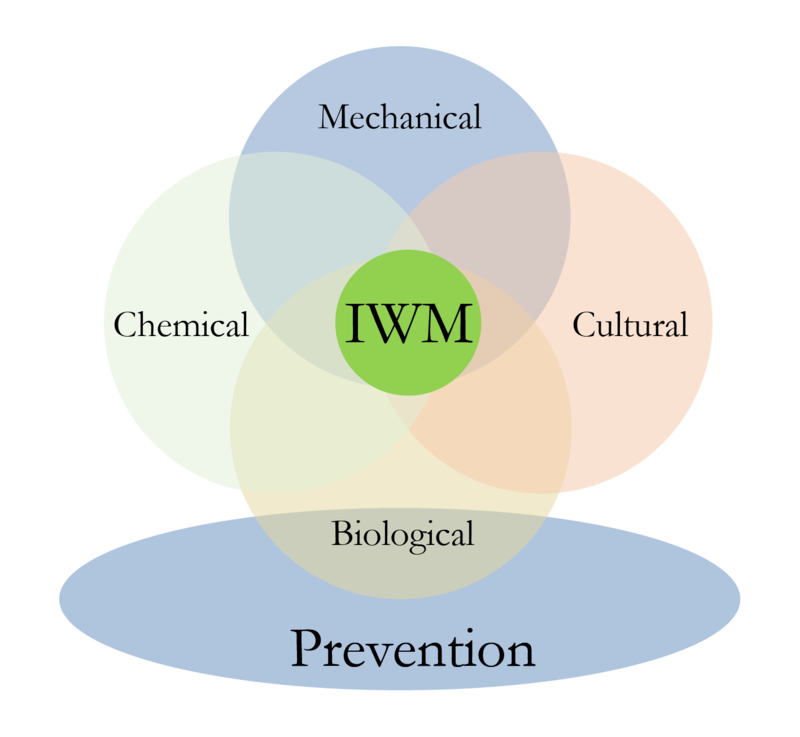 What is Integrated Weed Management? 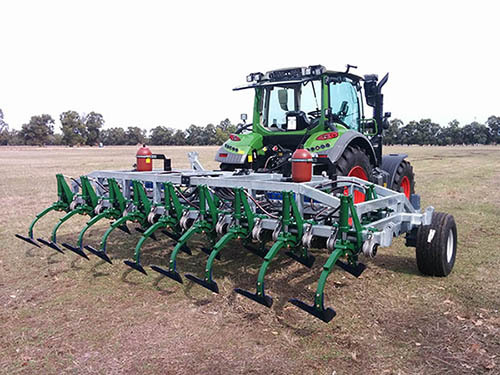 A new mechanical weeding machine may help change the face of fallow weed control across Australia’s broadacre grains industry. The Weed Chipper, developed by agricultural engineers and researchers from the University of Western Australia (UWA) and the University of Sydney, may be the next answer in the fight against herbicide-resistant weeds. 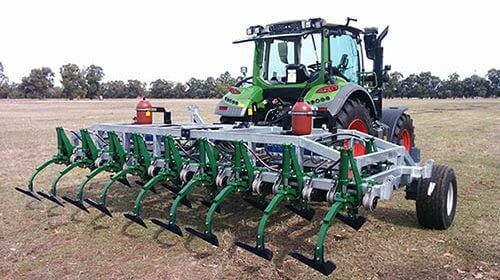 The machine has been designed using a cultivator bar where tynes are raised above the ground in a standby position, ready to chip the weeds out of the ground the moment they are detected with weed-sensing technology. This simple, yet groundbreaking, technology will allow grain growers to control weeds in summer and winter fallows with greater flexibility for use in situations that restrict the use of herbicide treatments, such as wind, humidity, heat and resistance. UWA School of Engineering agricultural engineers Dr Andrew Guzzomi and Dr Carlo Peressini, together with University of Sydney director of weed research Dr Michael Walsh, have designed and built the machine in response to grower concern about the difficulties associated with summer weed control. The project received GRDC investment and several prototypes have now been trialled across the country to test its effectiveness. According to Dr Guzzomi, the weed-chipping machine has been designed to adapt seamlessly and quickly into grain-cropping systems. “WEEDit sensors installed across the bar detect a green plant, which physically activates the appropriate tyne or tynes to rapidly engage with the soil and, by using a hoeing action, they chip out the weed with minimal soil disturbance,” Dr Guzzomi says. The bar has been designed to run at 10 kilometres per hour and, while this may be slower than a sprayer, the weed chipper can work around the clock in a wider range of environmental conditions. “In terms of the technology involved, this machine operates in a similar way as a weed-seeking spray boom. Weeds are sensed, though instead of spraying them, we chip them out,” Dr Guzzomi says. According to Dr Walsh, who has been testing prototypes in field trials, the weed control success rate has so far been 100 per cent. 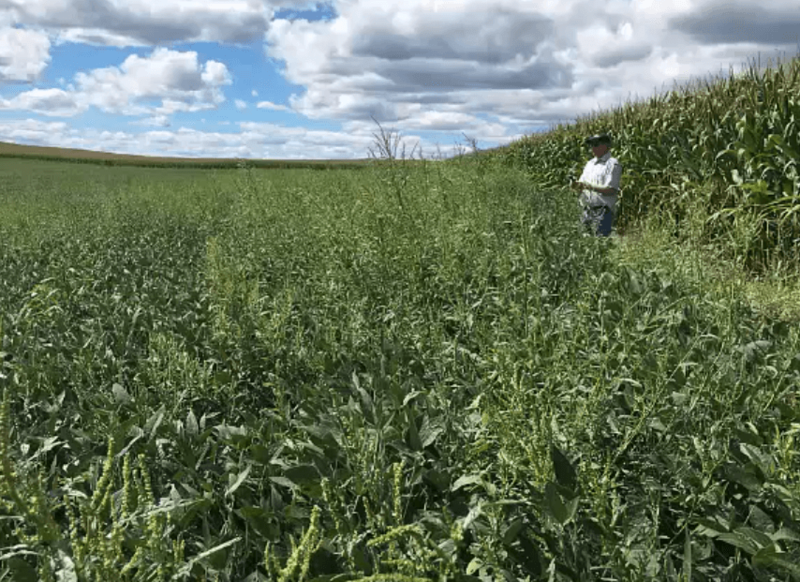 “The real value is its ability to chip out weeds across a wide range of sizes and growth stages with minimal soil disturbance,” he says. Dr Guzzomi and Dr Walsh are hoping to provide growers with the opportunity to test a commercial-scale prototype in fallow this summer. 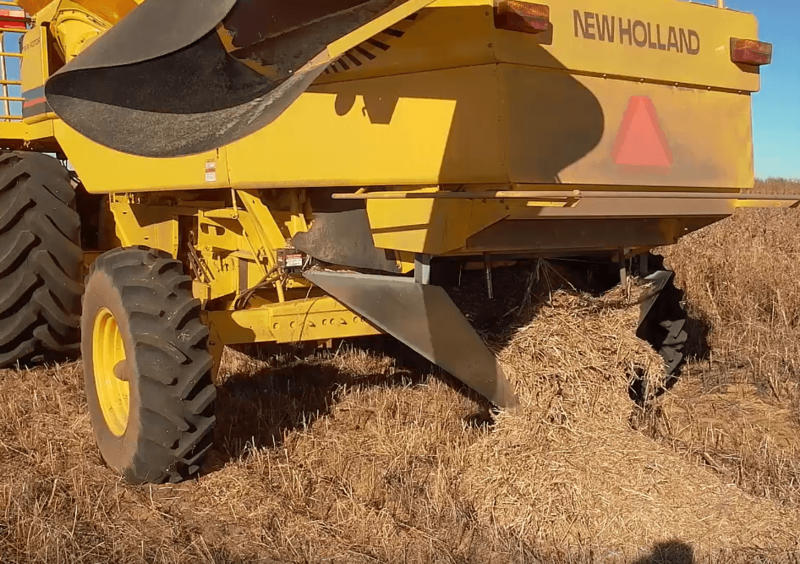 Dr Walsh says the initial concept for the machine was developed on a tour through the northern grain-growing region of NSW and Queensland in 2012. “WA growers Ray Harrington, Andrew Messina and Lance Turner and I were travelling through northern NSW and southern Queensland, where we were delivering workshops on harvest weed-seed control,” Dr Walsh says. The pre-commercial rig has hydraulic break-out tynes with a three-point linkage frame system to aid manoeuvrability between farms and the heavy-duty design allows it to handle a significant workload in tough conditions. “While we have seen evidence of the success of this machine on a small scale, we will also be collecting data on weed-kill efficacy and machine stress levels during this grower demonstration phase,” Dr Walsh says. Dr Walsh is hesitant to place a price point on the machine but believes it will be affordable for growers compared with current spray equipment. Dr Guzzomi also believes the weed chipper will be a perfect fit for automated technology, particularly since there is no requirement to fill the machine with any chemicals. “This mechanical solution is robust and simple, and will easily fit into an automated system,” he says. Dr Walsh and Dr Guzzomi are hoping to receive grower feedback about the machine from these expanded trials, which are the first step in commercialising the weed chipper. Manufacturers are also being approached in the effort to ultimately get this technology into the hands of growers. Credits: University of Western Australia, Dr. Michael Walsh.